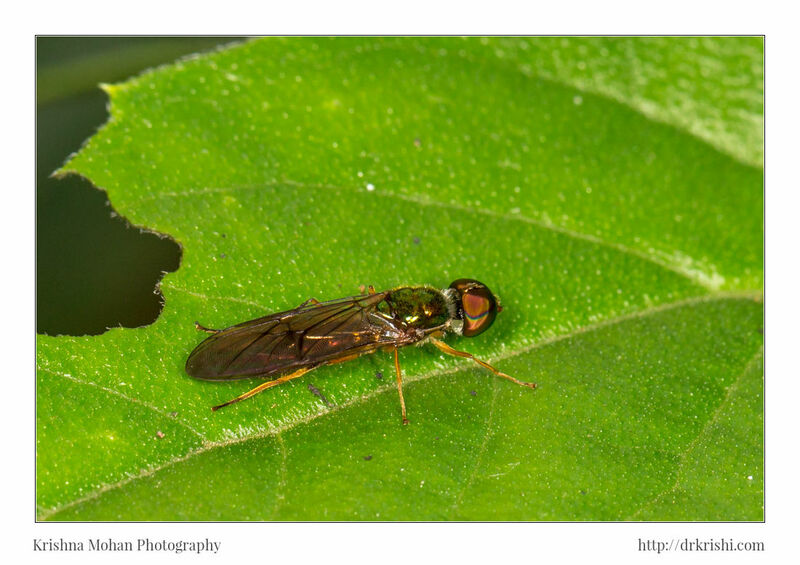 I found this soldier fly resting on a leaf in my backyard. 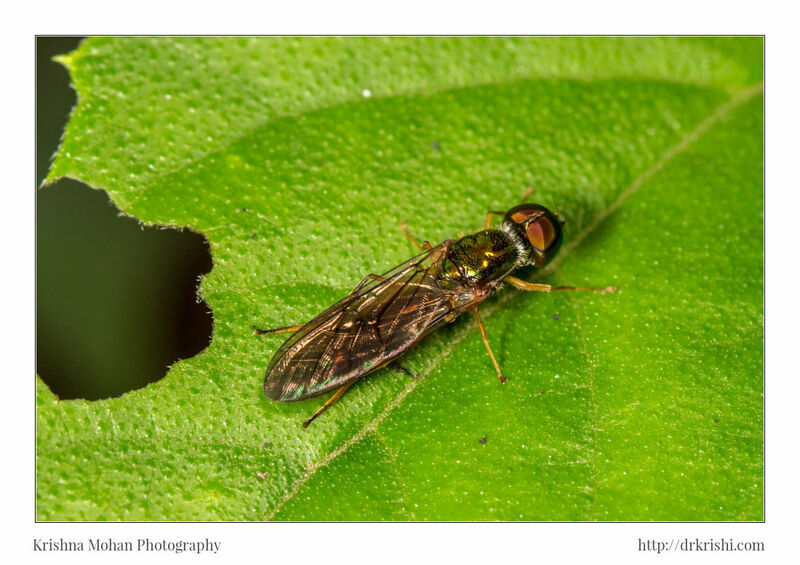 I was using Canon EOS 5D Mark III with Canon EF 100mm f/2.8L Macro IS USM. The Canon Speedlite 580EX II, I was using was fitted with ExpoImaging Ray Flash Adapter. 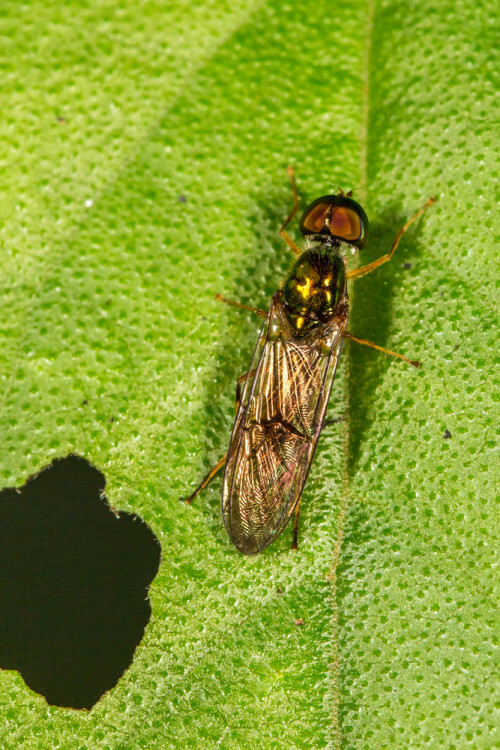 Unfortunately the shiny metallic body of the fly produced plenty of specular highlights with Rayflash adapter. I cannot alter or modify the effect when using this adapter, so it is a good tool where it works and not so nice in such a tricky situations. It is better to use much larger diffusing soft box to get a very nice and smooth highlights of a metallic body like this. It is the angle of light hitting the fly that needs to be changed to remove that spectacular reflection. If you notice the leaf here, has managed to get the good lighting. 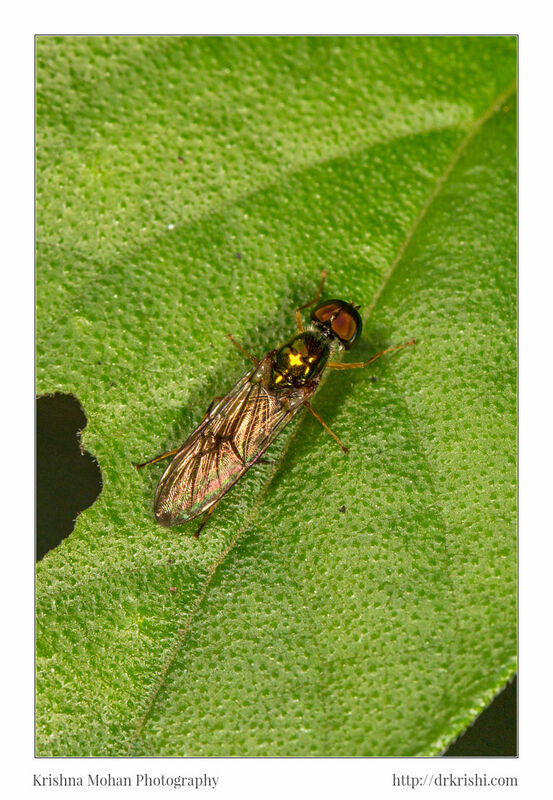 The Stratiomyidae or soldier flies have a worldwide distribution and comprise 2651 species described in over 380 extant genera worldwide. 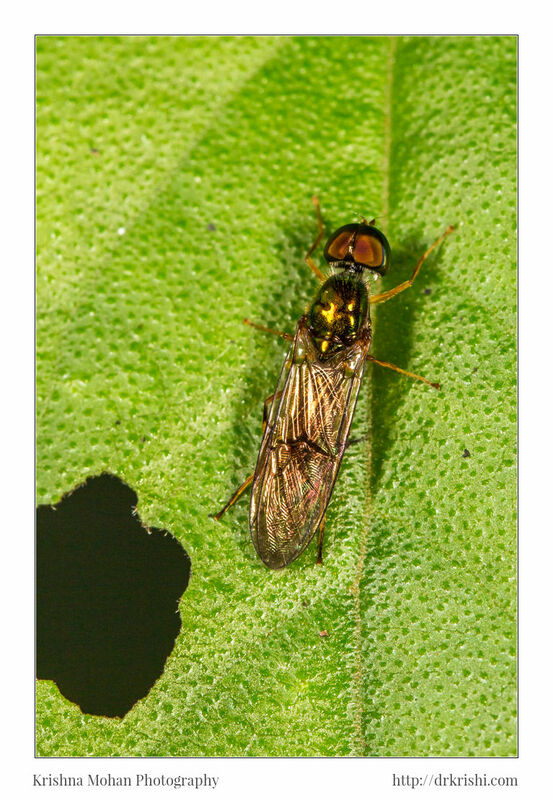 The adult flies are about 2–20 mm long and of very diverse colour and appearance. 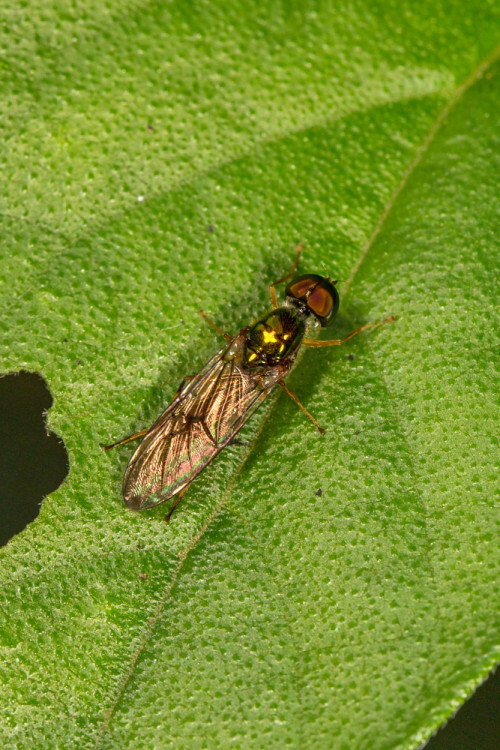 The brightly coloured or metallic species some-times resemble wasps or bees. The wing venation is characteristic for the family: the anterior veins are strong, the discal cell is small and usually situated in the anterior half of the wing. The antennae show a large structural variation and are useful for the identification of genera. The scutellum is often adorned with spines, which may be the reason for the common name soldier flies. The Stratiomyidae are of minor economic or medical importance. 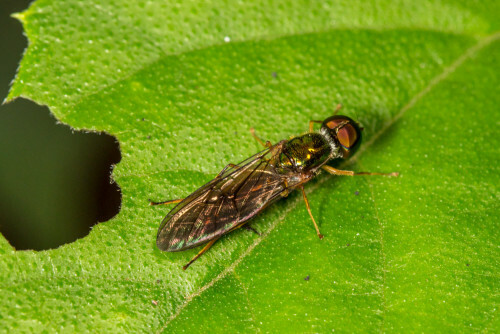 The larvae of black soldier flyHermetia illucens (Hermetiinae), a species of American origin also occurring in India, may occasionally cause myiasis (infestation of body tissues by the larvae) in man. This species also breeds in rotten fruits or cadavers and can be used as a bio-indicator in forensic entomology to determine postmortem interval in criminal cases. The aquatic larvae of Stratiomyidae sometimes occur in large numbers in ponds and may be of importance as food for fish. Oxycera larvae occurring in clean running waters can indicate water quality. The larvae are characteristically and uniformly built. The body is flat and composed of a strongly sclerotized head capsule, three thoracic and eight abdominal body segments. The cuticula has a honeycomb or mosaic appearance originating from calcium carbonate excretions of the larvae. The mandibles are fused with the maxillae and form two characteristic mandibular-maxillary complexes, which are moved alternately in a vertical plane. 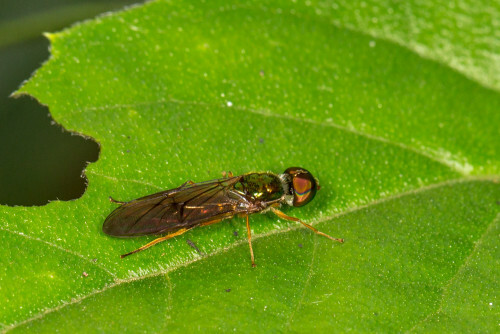 Some adult Stratiomyidae are apparently nectar feeders as indicated by an elongate proboscis with narrow labella, e.g. in Nemotelus. However, many species have a rather short proboscis with large fleshy labella and probably swallow pollen grains or utilize honeydew. Very nice sir. But if you post some more close pictures with eye level / view of the eye then it will be great.